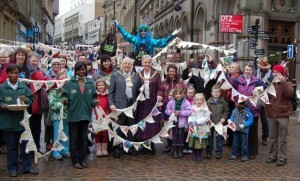 For Fairtrade Fortnight this year Yorkshire will be playing host to Fair Trade producers from Palestine. Palestinian olive growers Manal Abdallah and Abu Rafat Odeh, will speak about the Fair Trade company Zaytoun. Zaytoun is a British based community initiative aimed at enabling marginalised Palestinian olive farmers to access new markets by importing and distributing their products in the UK. In the groves of Palestine, Zaytoun’s producers grow and preserve olives and extract olive oil using traditional methods. The olive growers face serious political and economic threats to their livelihoods; in the face of all the difficulties, Zaytoun strive to offer a sustainable future for their producers. The farmers will be visiting schools in the Craven area and visiting the Fairtrade Fair at the University of Leeds. There are also public events being held in Bradford, Keighley and York. Fairtrade Fortnight is from 25th February to 10th March and there will be thousands of events taking place across the region. Do have a look at the diary of events on this site or check out the website of the nearest Fairtrade group to you. Starting in Fairtrade Fortnight this year it’s time go a little bit further for the food we love and the people who produce it. Choose more Fairtrade products, pass on the message or get active for Fairtrade at school, work or in your community. To celebrate the first Fairtrade Fortnight for Yorkshire as the UK’s first ever Fairtrade Region, we have organised a competition for schools. 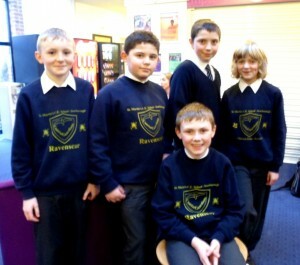 Check out the schools page on this web site and encourage your local school to take part. We are running a competition for schools across Yorkshire to celebrate the messages of Fairtrade and Yorkshire becoming the UK’s first Fairtrade region. How: Schools/youth groups create a short, eye-catching, fun film (up to 2 minutes long) promoting the message of Fairtrade. You can use pictures, props, animation or puppets to communicate! 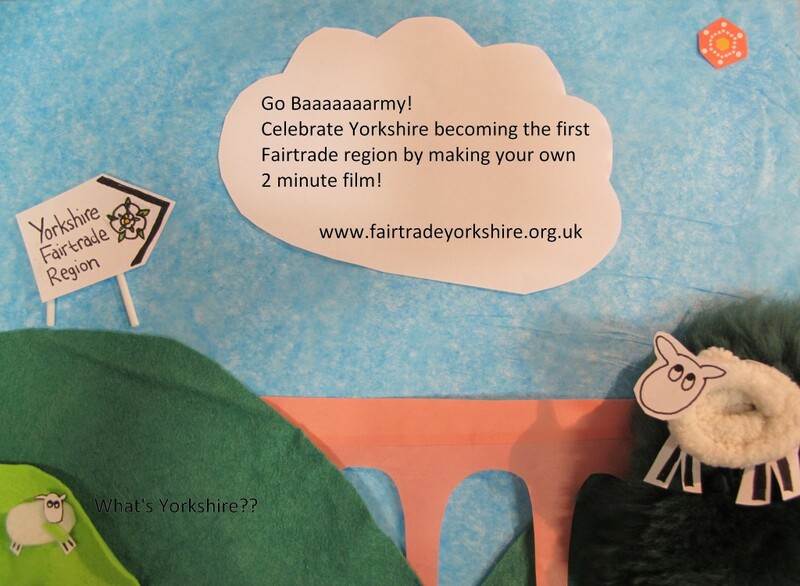 The content of the film is up to you, but we are interested in exploring links between Yorkshire and Fairtrade. What? One idea would be to think of something that is seen to be from Yorkshire (eg Yorkshire tea) and explore how ‘Yorkshire’ it really is. Or explore Yorkshire identity, how does Yorkshire today compare with the stereotypes about Yorkshire? What does becoming the first Fairtrade region say about ‘Yorkshire values’ and Yorkshire’s relationship with the rest of the world? What has Yorkshire brought to the world (inventions, Olympics, famous people)? How do we feel becoming the first Fairtrade region? For more ideas and inspiration, try the Fairtrade Foundation website www.fairtrade.org.uk or pop into Leeds DEC to look at our vast range of teaching resources related to Fairtrade. Next steps: Upload your film to Youtube and send the link to Hannah@leedsdec.org.uk. Finalists will be selected and links uploaded to the Fairtrade Yorkshire website www.fairtradeyorkshire.org.uk . Public voting will start from Friday 22nd March to Monday 22nd April. The film with the most ‘likes’ wins! Schools from across North Yorkshire came together for the annual Fairtrade in schools event organised by the Centre for Global Education and York Fair Trade Forum. Pupils and teachers were able to meet Fairtrade activists and retailers and hear a key note speech from Amy Trumpeter of Kigali Crafts. Amy’s business imports and retails fairly traded crafts and fashion accessories from Rwanda, a country still recovering from bitter civil war.